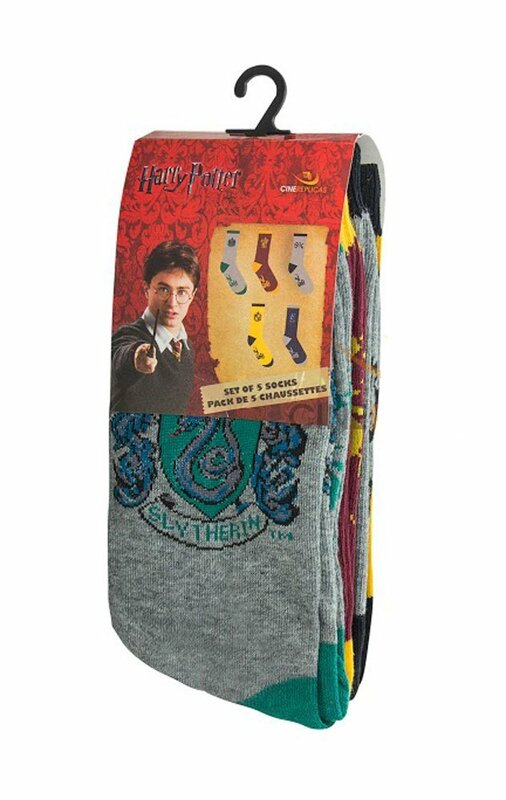 Set of 5 pairs of socks featuring the houses of Harry Potter. This set feature 5 pairs : One for each week day ! 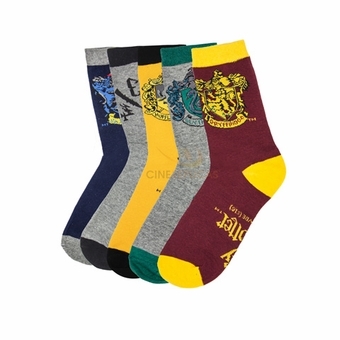 Extra Soft And Comfy, these high-quality themed socks are a fun accessory that add flair for that special occasion (weeding HP theme / HP birthday / HP party...) ! Great for both personal use and gift giving! Mix and Match with our Scarves, Beanies, Gloves. 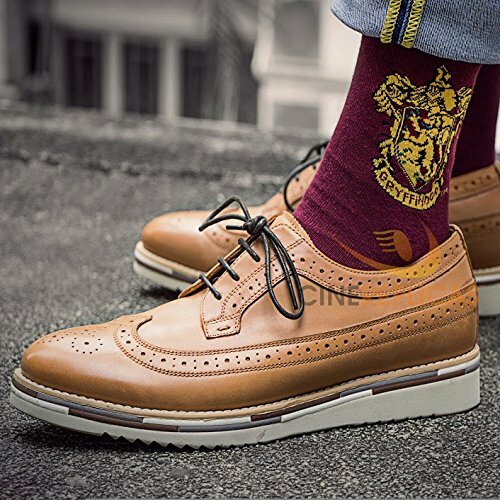 Design : Gryffindor - Ravenclaw - Slytherin - Hufflepuff - Plateform 9 3/4 Celebrate all the Houses of Hogwarts with these house crest socks! A great buy for true fans!